This entry is part of a bigger series. 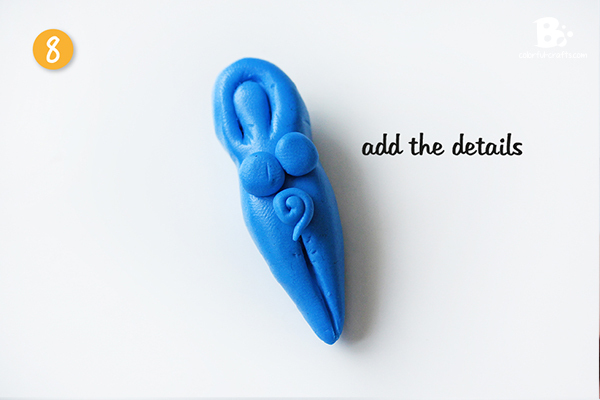 In this tutorial I show you how to make a Goddess Pendant with Polymer Clay. 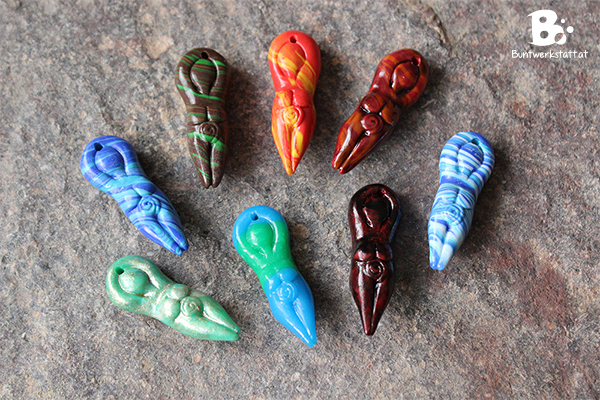 Check out the following entries if you want to know how to make your own Polymer Clay Mold (to replicate this pendant or other things), learn about cool techniques for different Polymer Clay Effects and how to make an Elements of Nature themed Goddess Set. The goddess is a pagan symbol you can find in many different cultures. It mostly symbolizes femininity, fertility, nature and life. If you want to recreate this pendant you will need Polymer Clay (available here*) a cutter knife and a toothpick. 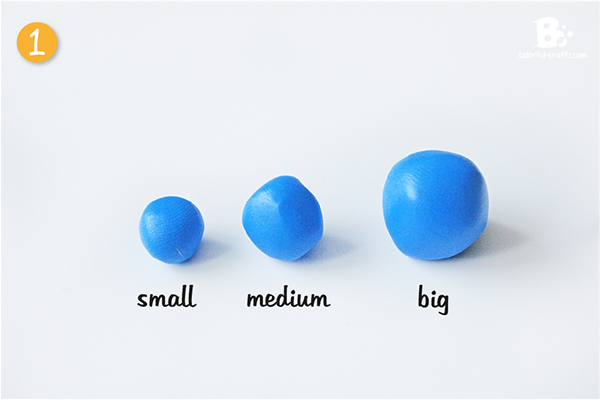 Form a small, a medium sized and one slightly bigger ball with polymer clay. The smallest will be the head, the medium sized one is for the arms and details, and the biggest one is for the feet and body. Put the smallest ball to the side. Roll out an even tube with the medium sized ball. It should be 2/3 as thick as the ball for the head. Make an uneven tube with the biggest ball. It should be thicker in the middle and thinner at the ends. 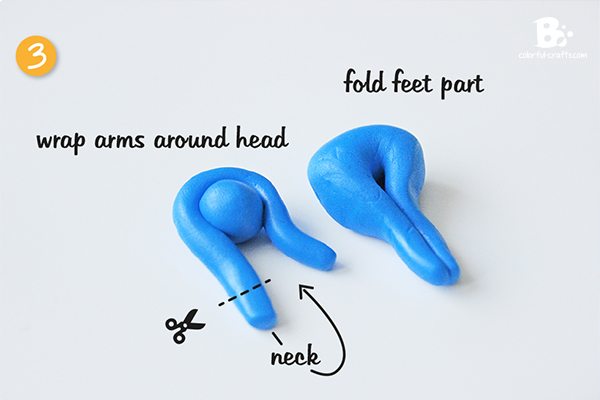 Fold the part for feet and body together and apply a little pressure. 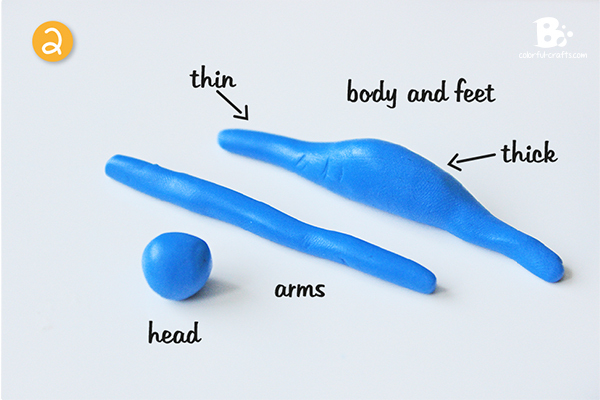 Place the ball for the head in the middle of the tube for the arms, and wrap them around partially. Cut off a small part of the arms left and right. You’ll need a piece for the neck and the other piece for little details later on. Put all the pieces together. The piece for the neck goes right onto the ball for the head and in between the arm parts. Mash the arms to the sides of the body. Now it’s time to blend in all the edges. I used the handle of my cutting knife and rolled it gently over the surface of the polymer clay to smooth everything out. Take your time! Don’t forget the part where the head, the neck and the body meet. Some details might get lost in the smoothing process. 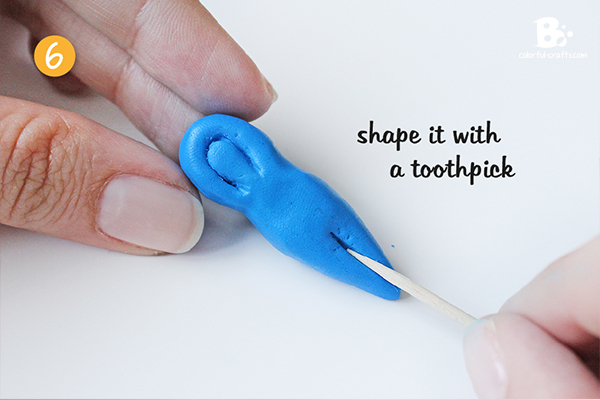 Use a toothpick to reapply them and correct mistakes. 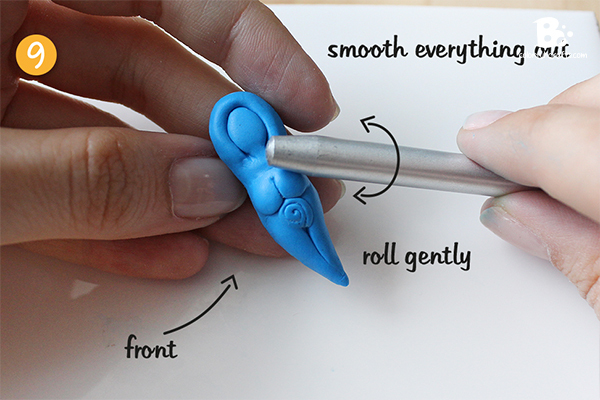 If you want, you can add little details to your figurine with the leftover clay. 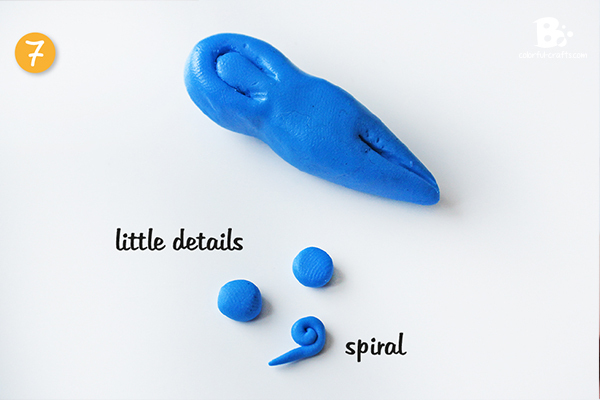 Before you apply the details, your figurine should have the desired shape and proportions. Only then add the details by pressing them on gently. Smooth out the edges again. Correct mistakes and apply the finishing touches with a toothpick. 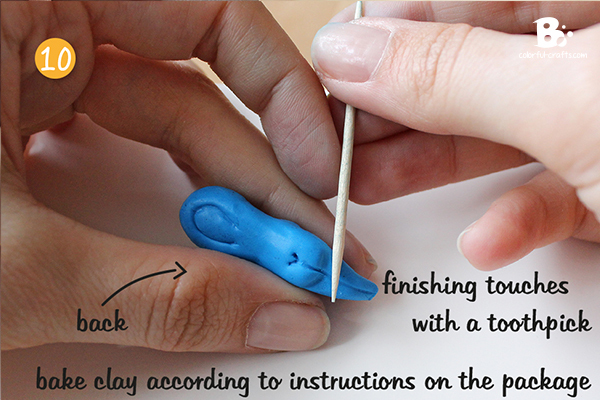 You can harden your polymer clay by baking it according to the instructions on the package. For Fimo it’s usually 30 minutes at 110°C/230°F. The figurine can by placed on a heat resistant surface for baking, but there will by shiny spots where the clay has touched the surface. 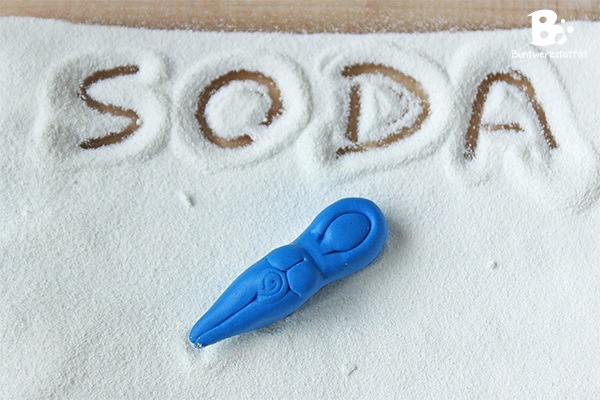 To avoid this, place your piece in a pan filled with baking soda, salt or cornstarch. I collect it afterwards in a jar and use it multiple times. Tip: To avoid discoloration of the polymer clay during the baking process, you can build a little tent with tin foil to protect your pieces. Or you cover your pieces with more baking soda. I always use the second method. If you want to use your goddess figurine as a pendant, you need to drill a little hole. You can make the hole with a toothpick before you harden the clay, or you drill it afterwards. I prefer the second method because the result is much nicer. If the surface of your clay piece is not smooth enough, you can buff it with special sanding sponges. 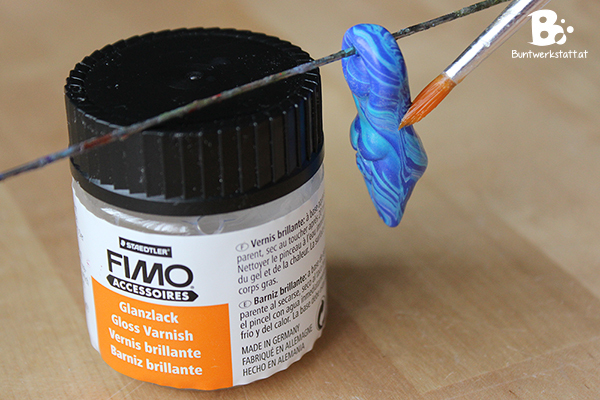 Coat everything with a transparent glossy glaze (available here*) for polymer clay to get a beautiful, shiny finish. If you want to know how to make a polymer clay mold to replicate pendants and other pieces like this one, check out this entry. 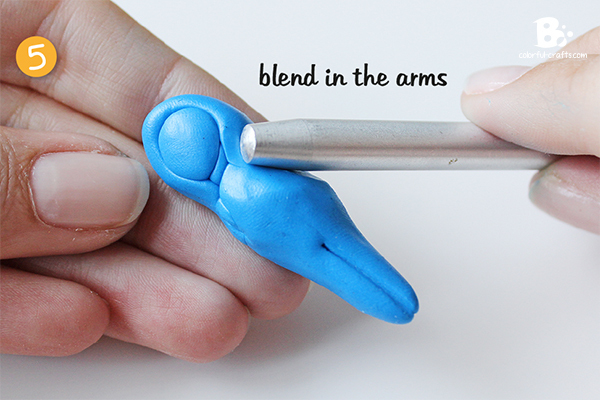 Hi what is that silver tool called that you used to blend the clay?